Los Angeles, CA -- (March 12, 2019) -- High school students in California can pre-register to vote when they are 16 or 17 years old. Students who pre-register are automatically registered to vote when they turn 18. But according to a new analysis released today by The Civics Center, as of February 2019, only 14% of 16 and 17 year olds in the state are pre-registered to vote. The Civics Center is a nonpartisan, nonprofit organization that promotes voter registration, pre-registration and civic engagement in high schools. The numbers show a modest increase over pre-registration numbers released in October 2018. Then, only 13% of California 16- and 17-year olds were pre-registered. 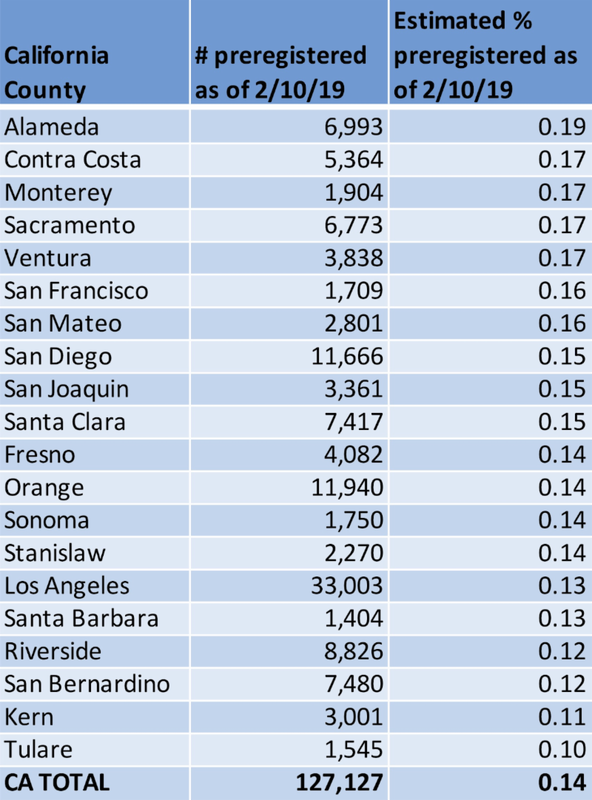 Sacramento showed the largest percentage increase since October 2018, going from 12% to 17%, while the percentage of young people pre-registered in Santa Barbara County decreased from 16% to 13%. 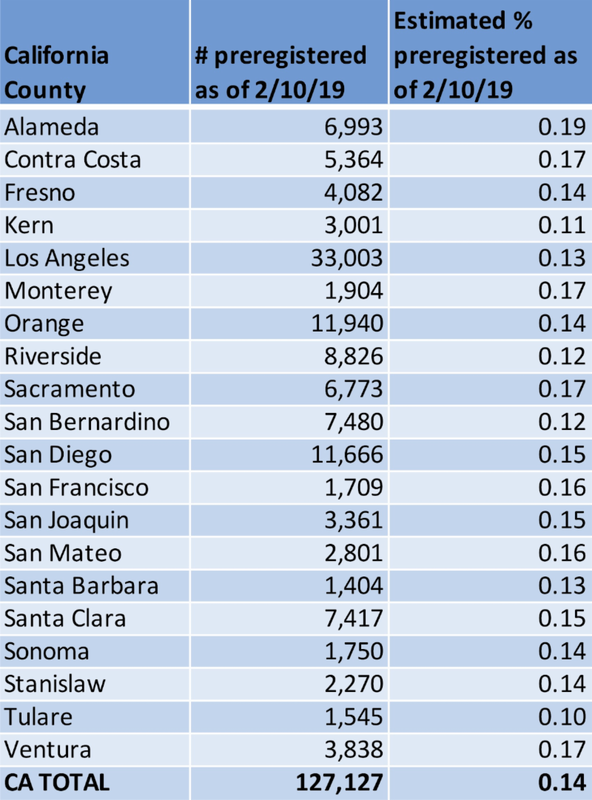 Los Angeles County, the most populous county in the state, has the highest number of pre-registered students (33,003 as of February 10, 2019, compared with 29,592 in October 2018). In two other Western states with voter pre-registration, the rate is more than twice what it is in California: approximately 30% of 16 and 17 year olds are registered in Oregon and Colorado. The Civics Center offers resources to high schools to promote voter registration, especially when those are led by the students themselves. It also encourages schools to help students appreciate the importance of citizenship by providing a structure for student-led voter registration efforts, including scheduling, training and oversight. In addition, it urges students to take a leading role by starting clubs that promote peer-to-peer registration. Please see county data below. May need to "right click" to get table. The Civics Center is dedicated to building the foundations of youth civic participation in high schools through education, research, advocacy, and volunteer organizing. The Civics Center is a project of Community Partners, a charitable 501(c)(3) organization. For more information, please visit www.TheCivicsCenter.org . Contact: Laura Brill at 310-272-7922. Based on data from the Secretary of State and KidsData.